Clearly, the multiple benefits of PDF have now been sufficiently revealed. But we’ve been talking about PDF files in the prime of their lives—where, you might ask, do new PDF files come from? Actually, there are several methods for creating PDF files. 1. Adobe Acrobat Distiller: this is the RECOMMENDED method to create pdf files. It comes with Acrobat, but not Acrobat Reader. 2. Adobe Acrobat: main Adobe software for the creation and modification of PDF files. Allows users to create a PDF file by simply dropping-and-dragging a document into Acrobat, choosing the format directly from Microsoft Office, or converting scanned or web documents directly, among other methods. 4. Other software: other Adobe graphical and publishing software such as FrameMaker, PageMaker, InDesign and Illustrator can be used to automatically create PDF files. Also, a surplus of third party software like EZ-PDF, ActivePDF Printer, and even QuarkXPress offer PDF creation capability. We DO NOT recommend saving or exporting pdf files directly from other software. 5. 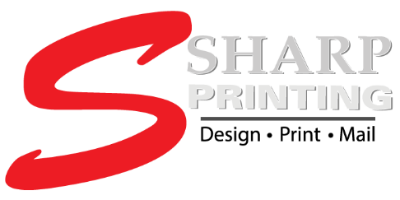 Print 2 Sharp: Don't have distiller, no problem, you can use our FREE on line service that automatically creates and sends the pdf file to Sharp Printing. For more information, go to "Send a File" in the Customer Service Center.